Kids and parents alike have always loved Lego, but the toy-block manufacturing company got even more props over the weekend when a Reddit user posted a note that Lego included in its packaging in the 1970’s. The note has a strong message about gender equality, which was especially pioneering considering the era in which it was sent. 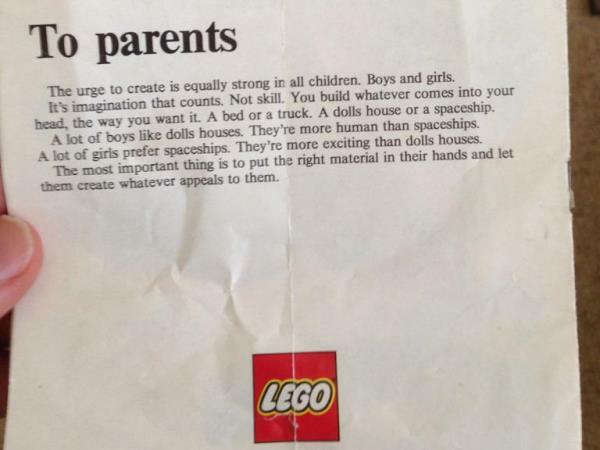 Well done to Lego for being ahead of its time and not confining children to gender stereotypes!